If you are doing research on the company, the school, on physical theatre, Carlo Mazzone-Clementi, etc. you may find the following list helpful; it lists most of the print references, articles, interviews, reviews, award announcements, etc. in books, newspapers, and websites where information about us can be found. Dell’Arte International archives are now housed at the Jerome Lawrence & Robert E. Lee Theatre Research Institute at Ohio State University (Special Collections of the Thompson Library). Scripts, posters, playbills, music recordings, design renderings, directors’ notes, photographs and more are available to researchers. Our thanks to Dr. Beth Kattelman, Associate Professor/Curator of Theatre at OSU’s libraries. Learn about our Prison Project at Pelican Bay State Prison. Dell’Arte Company, “Mad Love, Dell’Arte International.” Ensemble Works, An Anthology. Ed. Ferdinand Lewis. New York: Theatre Communications Group, 2005. 219-254. Play script, ensemble-written. Dell’Arte Players. “Intrigue at Ah-Pah.” Ed. Rick Foster. West Coast Plays 8 (1981): 121-162. Playscript, with photos. Fields, Michael. “New Eyes.” International Theatre Institute Newsletter Summer 2000: 1-2. Hill, Jane. “Physical Theatre Training: The Next Wave.” Call Board Mar. 1987. Schirle, Joan. “Potholes on the Road to Devising.“ Ed. Joan Herrington. Theatre Topics 15 (2005): 91-102. Essay on devising strategies. Schirle, Joan. “Movement Training: Dell’Arte International.” Movement for Actors. Ed. Nicole Potter. New York: Allworth P, 2002. 187-195. Core philosophy of Dell’Arte training. Schirle, Joan. “Walking the Talk: Artists Connecting with Community.” Community Arts Network. Mar. 2000. Dell’Arte International. Schirle, Joan. “Preparing a Role.” Alexander Techworks. Dell’Arte International School of Physical Theatre. Schirle, Joan. “The Alexander Technique and the Performer.” Alexander Techworks. Dell’Arte International School of Physical Theatre. Schirle, Joan. “Woodshedding in the Performing Arts.” City County Miner: Some Northern California Veins. Ed. Michael Helm. Berkeley: City Miner Books, 1982. 203-207. Cohen-Cruz, Jan, comp. Local Acts: Community-Based Performance in the United States. Rutgers UP, 2005: 103, 115, 116-117, 153-158, 192. Lewis, Ferdinand, ed. 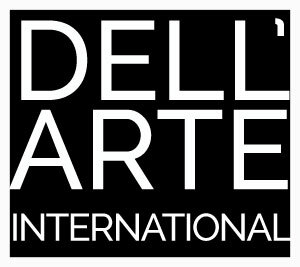 “Mad Love, Dell’Arte International.” Ensemble Works, An Anthology. New York: Theatre Communications Group, 2005. 219-254. O’Quinn, Jim, David Rooks, Ferdinand Lewis, and Michael Fields. “The Dentalium Project.” Critical Perspectives, Writing on Art and Civic Dialogue. Ed. Caron Atlas and Pam Korza. Washington, DC: Americans for the Arts, 2005. 1-51. Berson, Misha. “The Dell’Arte Players of Blue Lake, California.” Popular Theatre: A Sourcebook. Ed. Joel Schecter. London, New York: Routledge, 2003. Kerrigan, Sheila. The Performer’s Guide to the Collaborative Process. Portsmouth, NH: Heinemann, 2001. See index. Rudlin, John, and Olly Crick. Commedia Dell’Arte: A Handbook for Troupes. London and New York: Routledge, 2001. Players: 100-103, School: 100,101,112, Mazzone-Clementi: 99-100,137. Leabhart, Thomas. Modern and Post-Modern Mime. New York: St. Martin’s Press, 1989. Photograph #37 of Ronlin Foreman. Rudlin, John. Commedia Dell’Arte: An Actor’s Handbook. London and New York: Routledge, 1994. School: 3, Carlo Mazzone-Clementi: 56, 62, 212, 214. Most, Stephen. “The Ah-Pah File.” West Coast Plays 8 (1981): 163-171. Rolfe, Bari. Mimes on Miming, Carlo Mazzone-Clementi. Bell, Deborah. “Experiencing Bruce Marrs’ Mask Making Workshop.” The Costume Research Journal (2002). Bell, Deborah. “Bruce Marrs‘ Masks.” The Costume Research Journal (2002). Brady, Sara. “Looking for Lecoq: A Master’s Legacy Lives On.” American Theatre 1999. Davis, Marilyn, ed. “The Man with a Thousand Faces.” Perspectives Fall 2003. Doran, Bob. “Behind the Mask.” North Coast Journal 16 Nov. 2000. Gournan, Emily. “Dell’Arte Turns 30.” North Coast Journal 8 July 2004. Ladd-Wilson, Lisa. “Coming of Age in Blue Lake.” North Coast Journal June 1995. Mauro, Lucia. “Dell’Arte’s Daniel Stein.” PerformInk Online 11 May 2001. Naversen, Ronald. “Learning to Carve Masks in Bali.” Theatre Design and Technology Winter 2004. “About the Artist: Dell’Arte International, ‘With Joan Schirle in Second Skin’” The Kennedy Center: Millennium Stage. “Ensemble Theatre Festival set for June.” San Francisco Examiner 4 May 1999. Winn, Steven. “Carlo Mazzone-Clementi.” San Francisco Chronicle 14 Nov. 2000. O’Quinn, Jim. The Dentalium Project, Dell’ Arte, Project Overview. “Notes on Wild Card”, Rooks, David. “To save paradise they put up a parking lot”, Lewis, Ferdinand. “The Arts and Development: An Essential Tension,” Fields, Michael. Tilghman, Romalyn. “Casting the Net.” Inside Arts Nov.-Dec. 2005: 48-50. Rodriquez, Emil. “High Demand for MFA degree causes Dell’Arte to lay projections for additional building.” The Lumberjack, Humboldt State University. 30, Nov. 2005. sec. Scene: 19. Shields, Isabella. “Los Puentes builds bridges.” Eureka Times-Standard 17 Nov. 2005, sec. Northern Lights: 10+. Kowinski, William. “Puente de risas.” North Coast Journal 10 Nov. 2005: 18. Savage, Jennifer. “Working on a building.” The Arcata Eye 25 Oct. 2005, sec. Scene: 12. Hurwitt, Sam. “Laugh, Clown.” San Francisco Chronicle 23 Oct. 2005: 24. Jones, Andrew J. “Humboldt Holiday: Seas, trees and myriad activities delight visitors.” Horizon Air Oct. 2005: 10-18. Burnham, Linda Frye. “A place in the Sun.” American Theatre Sept. 2005: 69-71. Astump, Simon. “500 kilometer til teaterskole.” Nordjyske Stiftstidende 21 Aug. 2005: 8. Vogel, Meghan. “Dell’Arte: Full throttle.” Eureka Times-Standard. 3, July, 2005: e1. Beltz, Ellin. “From the Lost Coast to the Edge.” North Coast Journal 7 July 2005: 1. “Face Value.” Eureka Times-Standard 6 July 2005, sec. Cover Photo: a1+. “Rural Arts, Global Identity.” The Palette June-July 2005: 20+. Beltz, Ellin. “Theatre, Theatre Everywhere.” North Coast Journal 30 June 2005: 1. Hodgson, Judy. “Dell’Arte cast, crew bare all.” North Coast Journal 30 June 2005. Vogel, Meghan. “National Ensemble Theatre Festival: Dell’Arte to host first event of its kind.” Eureka Times-Standard 12 May 2005, sec. Northern Lights: 3. “Ensemble Theatre Festival.” Humboldt Advocate 25 May 2005: 9. Standing, Sarah Ann. “From the Redwood Forest… to the Stages of Northern California’s Festival of Ecodrama.” American Theatre Feb. 2005: 65-69. Beltz, Ellin. “Sanity is a playground for the unimaginative.” North Coast Journal 9 Dec. 2004: 22. Butler, Wendy. “What is this thing, ‘Dell’Arte’” The Eureka Reporter 15 July 2004. Vogel, Meghan. “A perfect pair: Dell’Arte celebrates 30 years in Blue Lake.” Eureka Times-Standard 8 July 2004, sec. Northern Lights: 11+. Gurnan, Emily. “Dell’Arte turns 30.” North Coast Journal 8 July 2004: 8-11. “Dell”Arte students and staff take part in Eureka peace rally.” North Coast Journal 25 Mar. 2004: 6. Mizer, Shane. “Hiding behind the artwork of theatrical masks.” Eureka Times-Standard 26 Feb. 2004, sec. About Town: 6. “Bring in the Clowns: Blue Lake.” The Palette 2004: 22-23. McKenna, Mark. “Dell’Arte announces new MFA degree program.” Eureka Times-Standard 27 Nov. 2003, sec. Northern Lights: 11. “Actors’ School is the Ticket for Blue Lake Revival.” North Coast Journal 23 Oct. 2003, sec. Prosperity! Special Insert: 4. “‘Maskibition’ winners revealed.” The Arcata Eye 14 Oct. 2003, sec. Scene: 12. Hoover, Kevin L. “Beyond all expectations.” The Arcata Eye 24 June 2003, sec. Scene: 13. Blake, Barry. “Wild Times and Insights.” North Coast Journal 4 July 2002: 16. Arnot, Sally. “An exciting new era for the arts has begun.” Eureka Times-Standard 27 Feb. 2000, sec. Horizons: e5. Horwitz, Simi. “Spotlight on Summer Training.” Back Stage 11 Feb. 2000: a14. Trauth, Beti. “Fall sees Dell’Arte at its best.” The Arcata Eye 24 Nov. 1998, sec. Scene: 12. Gelb, Hal. “Intrigue at Ah-Pah, The Road Not Taken, Fear of Falling.” The Nation 6 Apr. 1992, sec. Theater. Jacobson, Lyn. “Confessions of an Eco-Reporter.” American Theatre Feb. 1992: 17+. Berson, Misha. “The Dell’Arte Players of Blue Lake, California.” The Drama Review 27 (1983): 61-72. Plesmid, Kamilla. “Local Theatre Begins Tour.” Life and Times, Eureka, CA 31 Mar. 1977. Flinn, John. “Mime students ham it up for laughs.” The Lumberjack, Humboldt State University 6 Apr. 1977: 16. Forrest, Donald. Interview with Mark McKenna on community interaction. Community Arts Network, Reading Room. Forrest, Donald. Interview with Ralph Deliberate. The Pickle Clowns: New American Circus Comedy. Carbondale & Edwardsville: Southern Illinois UP, 2001: 111-117. Foreman, Ronlin. Interview with Davis Rider Robinson. The Physical Comedy Handbook. Portsmouth, NH: Heinemann, 1999: 121-126. Connema, Richard. “A slap happy production of The Golden State.” Talkin’ Broadway. “And this little piggy went to Blue Lake…” The Arcata Eye 23 Nov. 2004, sec. Scene: 11. Dooley, John. “Dell’Arte presents ‘Three Pigs’” Eureka Times-Standard 9 Dec. 2004, sec. Northern Lights: 1+. “Three Pigs: A Comic Tail with a Twist.” Humboldt Advocate 24 Nov. 2004: 7. Vogel, Meghan. “Huffin’ and Puffin’” Eureka Times-Standard 25 Nov. 2004, sec. Northern Lights: 8. “Happy hits of yesteryear.” The Arcata Eye 18 May 2004, sec. Scene. Shields, Isabella. “Clown Staying Power: ‘The 30 Show’” Eureka Times-Standard 1 July 2004, sec. Northern Lights: 11-13. Kovacich, Katherine. “Dell’Arte presents a Greek Tragedy with ‘Penthesilea’” Eureka Times-Standard 22 Jan. 2004, sec. Northern Lights: 10. Marsh, Larry. “Dell’Arte Plays In the Land of the Grasshopper Song.” The Lumberjack 3 Dec. 2003, sec. The Scene: 17+. Savage, Jennifer. “‘Grasshopper’–Dell’Arte style.” The Arcata Eye 4 Nov. 2003, sec. Scene: 12. Stewart, Amy. “In the Land of the Grasshopper Song.” North Coast Journal 13 Nov. 2003, sec. Opening Night. Butler, Wendy. “‘Casanova’–An ambitiously sexual and historical journey.” Eureka Time-Standard 3 July 2003, sec. Northern Lights: 6+. Stewart, Amy. “Sultry sensual instinct.” North Coast Journal 3 July 2003: 14. McBain, Leslie. “Joan Schirle shines in Second Skin.” Gulf Islands Driftwood 7 Feb. 2002. Butler, Wendy. “The Devil Made Them Do It: God and Satan Square Off on Scientific Grounds in Dell’Arte’s 21st Century Paradise Lost.” American Theatre Oct. 2002: 38-40,134,135. Lust, Annette. “Moliere Transported to Blue Lake Via Schirle’s ‘Shotgun Wedding’” Commuter Times 22 June 2000. Hobbs, Dawn. “Karuk, Hmong tales told in innovative show.” The Union 13 Oct. 1994, sec. Arts. Avery, Marybeth. “‘Slapstick’ a Vaudevillian Masterpiece.” Gay and Lesbian Times, San Diego 26 May 1994: 48. Schneider, Christopher. “Playwrights meld family, slapstick and psychobabble.” La Jolla Light 19 May 1994. Shirley, Don. “‘Slapstick provocatively seeks sources of violence.” Los Angeles Times 8 Feb. 1991, sec. Stage Review. Smith, Jeff. “Low comedy and high drama twice combined.” San Diego Weekly Reader 19 May 1994: 69. Smith, Jeff. “Time is the Enemy.” The San Diego Reader 19 May 1994, sec. Calendar/Theater: 69-70. Stein, Pat. “Serious spin on ‘Slapstick’ at San Diego Rep.” North County Blade-Citizen 20 May 1994, sec. Onstage. Stevens, Rob. “Slapstick at the Lyceum Stage.” Backstage West 26 May 26, sec. Reviews: 11. Daily Californian 19 May 1994. Welsh, Anne Marie. “‘Slapstick’ fun has dark edge of old pain.” San Diego Union-Tribune 13 May 1994. Berson, Misha. “Getting Physical: Laurel and Hardy meet Who’s Afraid of Virginia Woolf? in ‘Slapstick’” San Francisco Bay Guardian 25 Oct. 1989. Centell, Linda. “Double good fun with ‘Performance Anxiety’” The Union, Arcata CA 25 June 1981. Gibbs, Cheryl. “No anxiety about Performance Anxiety.” Eureka Times-Standard 25 June 1981. Beltz, Ellin. “Halt! Who goes where? Nights of melodrama and absurd comedy.” North Coast Journal 17 Mar. 2005: 16. “Chock full of emotion.” The Arcata Eye 15 Mar. 2005, sec. Scene: 15. “Clown masters.” The Arcata Eye 30 Sept. 2003, sec. Scene: 12. “Dell’Arte Finals.” The Arcata Eye 25 May 2004. “Those masked clowns.” The Arcata Eye 15 Feb. 2005, sec. Scene: 10. “Vice, Virtues and Grand Emotions.” Humboldt Advocate 16 Mar. 2005, sec. Scene and Heard: 14. “The Crenshaw Experiment.” .” Eureka Times-Standard. 15, Dec. 2005. sec. Northern Lights: 2. “Clowns and kids and the Bard in Blue Lake.” The Arcata Eye 23 Mar. 2004, sec. Scene. Machale, Barry. “Circo Stupendo gives youth a leg up.” Eureka Times-Standard 10 Nov. 2005, sec. Northern Lights: 13. “Stupendo Specatular.” Eureka Times-Standard 14 Nov. 2005: a3. Smith, Linda. “Ensemble Theatre Festival: National theatre community descends on Blue Lake.” Eureka Times-Standard 16 June 2005, sec. Northern Lights: 11, 12. “Editor’s Pick: Ensemble Theatre Festival.” Theatre Bay Area June 2005: 3. “MRF 2004 Finale.” The Arcata Eye 20 July 2004, sec. Scene: 13. “Rockin’ with the Bands Out Back.” Eureka Times-Standard 14 July 2005, sec. Northern Lights: 11-12. Bishop, Brenda. “Mad River Fest shines with Lume.” Eureka Times-Standard 13 July 2000: 2. “Mad River Fest marches on: ‘Edge Fest’–Dell’Arte grads show off.” The Arcata Eye 12 July 2005, sec. Scene. Butler, Wendy. “On the fringe with Edge Fest: Dell’Arte Mad River Festival premieres latest showcase of amazing talent.” EurekaTimes-Standard 4 July 2002, sec. After 5: d1+. “They’re ‘Edgy’: Dell’Arte’s Mad River Festival continues.” The Eureka Reporter 13 July 2005: b7. Beltz, Ellin. “The Cutting Edge.” North Coast Journal 16 June 2005: 17. “Dell’Arte Players open new comedy.” Eureka Times-Standard 17 June 1981. Joan Schirle receives 2018 Lifetime Achievement Award from the Association of Movement Theatre Educators, (ATME) August 4, 2018. “Eureka author, Dell’Arte win 2006 endowment awards.” Eureka Times-Standard 12 Dec. 2005: a2. “Otto Rene Castillo Award for Political Theatre.” All Stars Project Inc.: Theatre for the Whole City. “Theatre communications Group announces Grant Recipients in the National Theatre Artist Residency Program.” The Pew Charitable Trusts. 6 May 2002. “Dell’Arte awarded ‘Cornerstone’ grant by Irvine Foundation.” The Arcata Eye 25 July 2000, sec. Scene. “Dell’Arte Awarded ‘Cornerstone’ Grant.” The Humboldt Beacon 20 July 2000. Thanks to Stephanie Roberts (MFA ’06) for her help with research on this list.